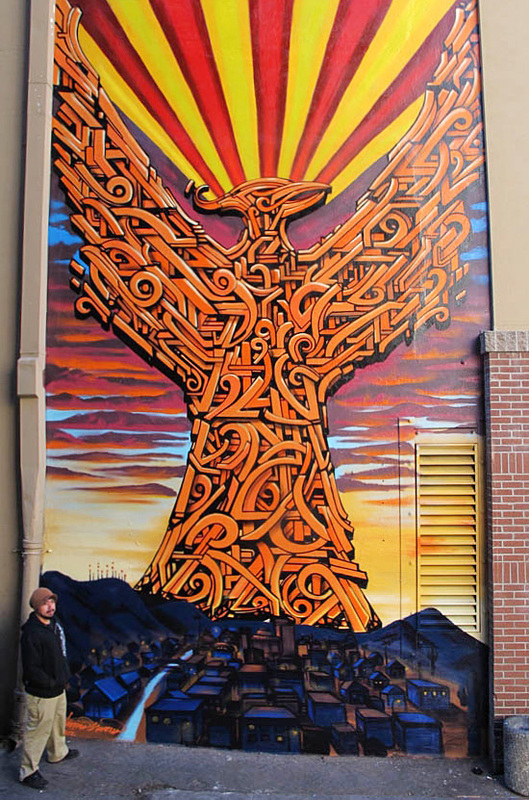 The influence of Mexican mural art is far-reaching in the borderlands and beyond. 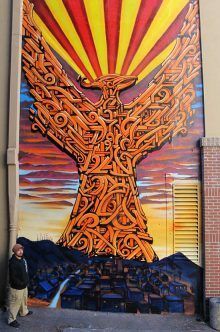 Here in Phoenix, the mural-art and street-art communities are burgeoning. Moderator Thomas “Breeze” Marcus, artist and founder of Paint Phx, a city-wide mural and street arts festival, will engage the panel of renowned artists including Martin Moreno, Lalo Cota, and Los Angeles-based El Mac to share new insights about our community and discuss the continuing influence of Diego Rivera and Mexican mural artists. This event is free and open to the public. Thomas “Breeze” Marcus in front of one of his murals. Photo courtesy of the artist.